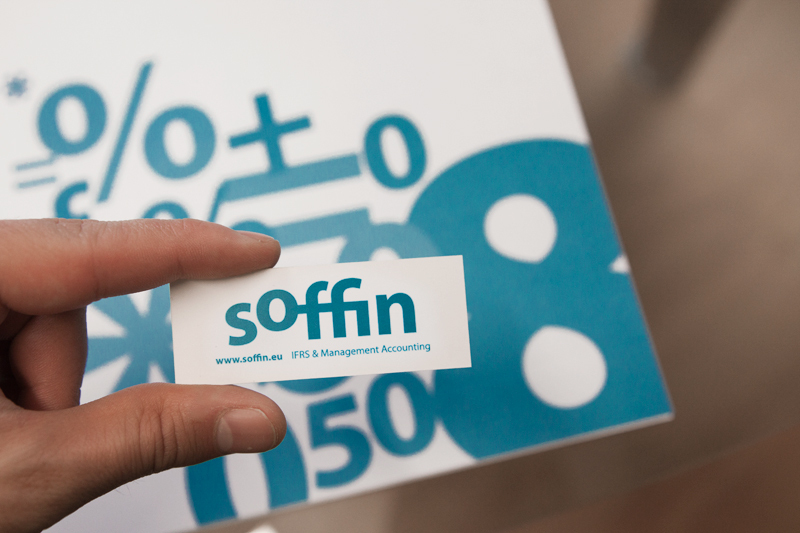 Soffin is a Bulgarian management accounting company. 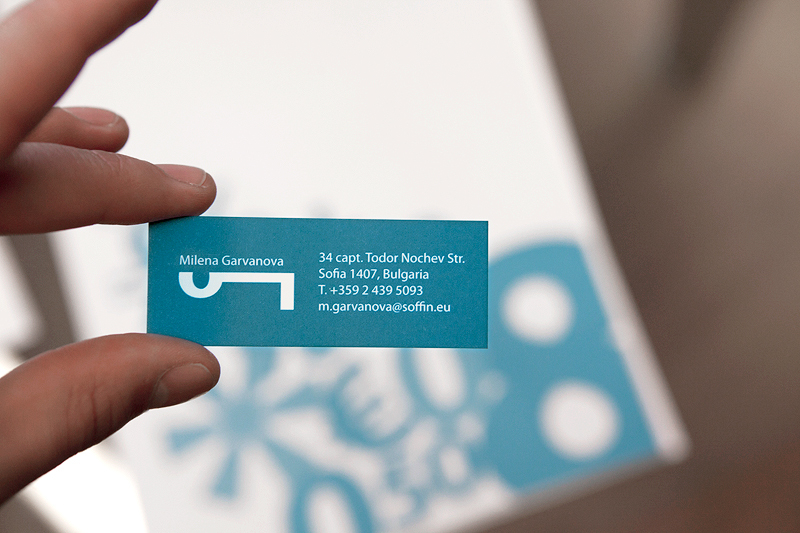 We designed their new logotype and now we had to work on a related stationery design . 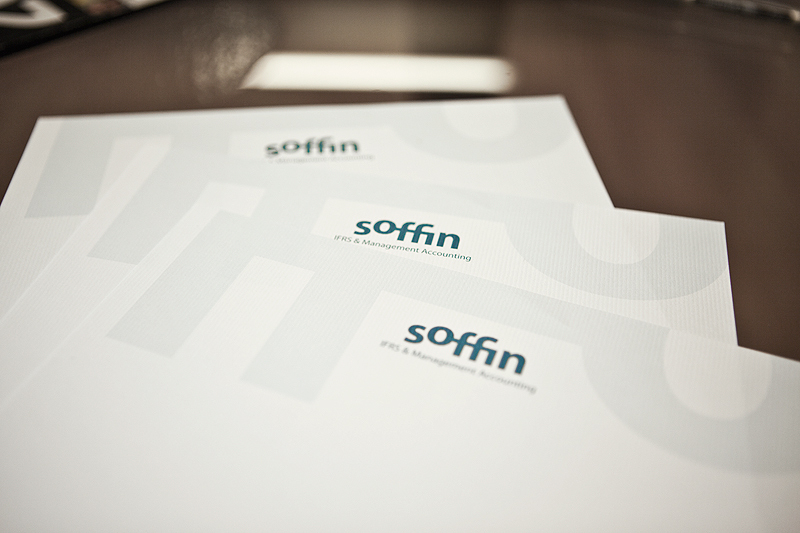 This is our final logotype design for the company. The concept behind the lifted “o” is that when connected with a solid line with to the double F’s and the I it forms a key – a logical symbol for accounting solutions. This is a stationery set with the new logo. The one on the right is a report cover design. On the left of it is a blank page with our letterhead design. In the middle are our the business card designs. 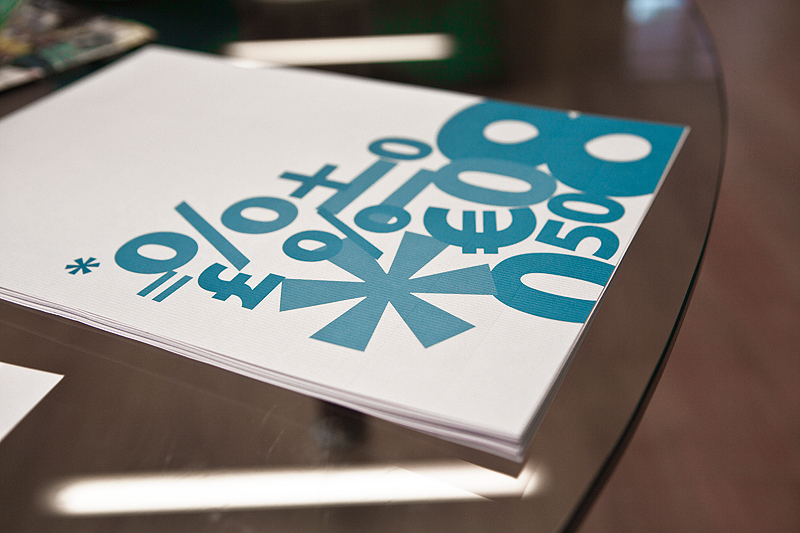 The combination of different mathematical symbols as a stationery design worked very well for the cover decoration – the space on the top right will be used for the report title. All the materials are printed in just one Pantone color. 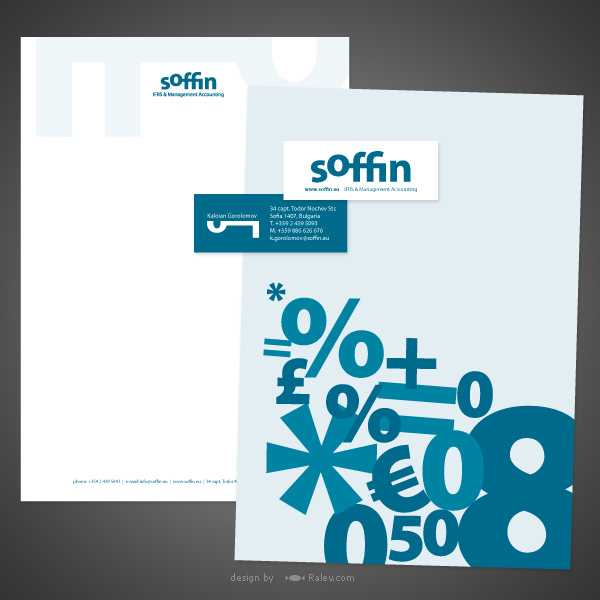 These are the letterheads printed on Gmund paper – Vice Versa Albus 100 g. The key on the top is like a watermark for the company. The mark is in a very delicate color almost transparent. A pile of report covers on an office table. We just love the mini cards. 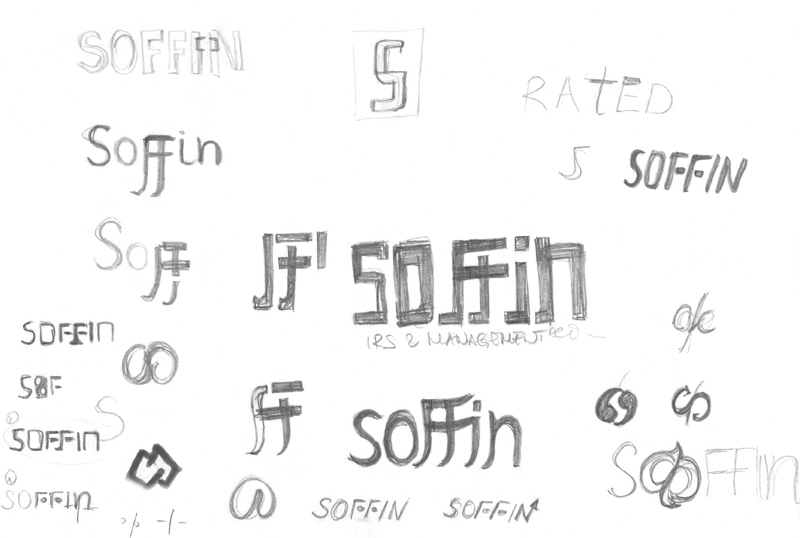 Their format is very appropriate for Soffin’s new logotype design. The business contacts fit in 2 columns. The key symbol as part of the identity underlines the name of the person. The second column is left for the company’s address and the employee’s personal contact details. 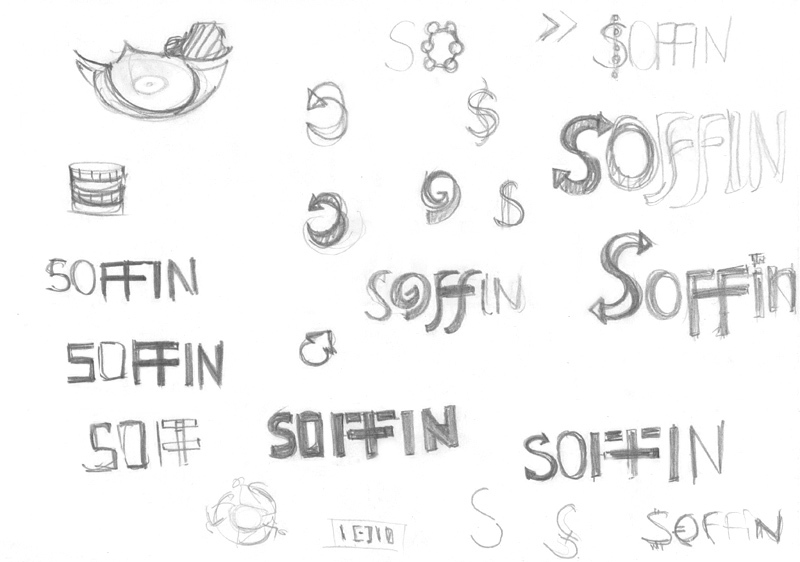 Materials from the logo design process.